Salesman Showing A New Bicycle To Interested Customer In Bike.. Stock Photo, Picture And Royalty Free Image. Image 54877143. 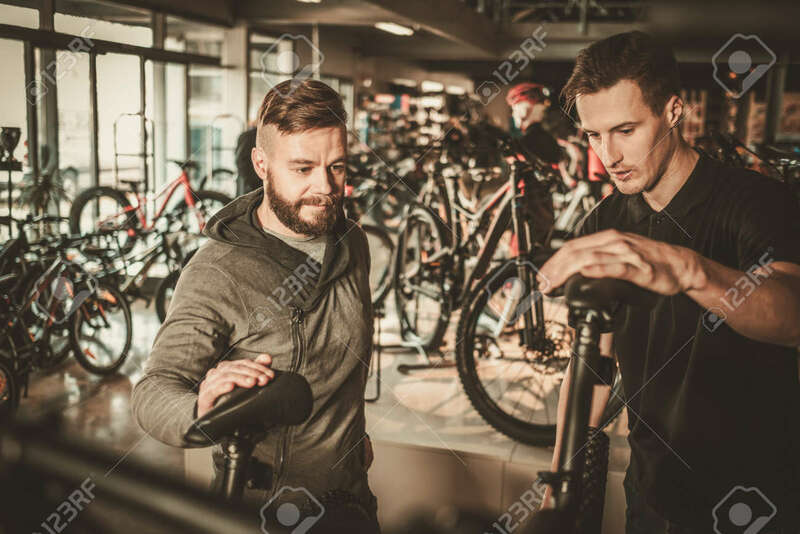 Stock Photo - Salesman showing a new bicycle to interested customer in bike shop. Salesman showing a new bicycle to interested customer in bike shop.